London is one of the global food capitals and it comes as no surprise that it is also home to the world’s most expensive margarita! The luxurious Mexican restaurant, Cantina Laredo in Covent Garden is serving the supremely lavish margarita for a jaw-dropping £50,000 ($69,300)! The ingredients of the cocktail also include a 4.1-carat diamond – not sure if it adds to the taste but it certainly adds to the sparkle and the price tag! The drink is a special concoction of two top-shelf tequilas- the Jose Cuervo Platino and the 1800 Colección which retails for £2,000 ($2775) per bottle. The blend of the two expensive tequilas is then complimented by swapping traditional limes for the juice of white pineapples and limequats (a lime kumquat hybrid) and finished with lime caviar – smooth flesh of finger limes which are indigenous to Australia. 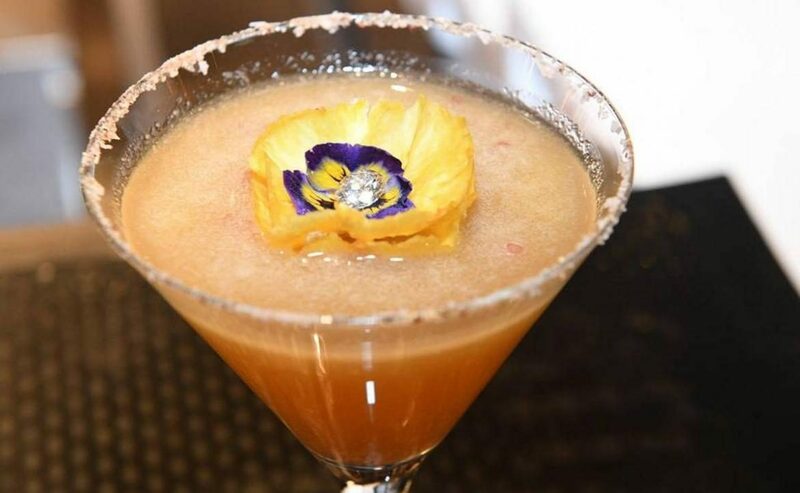 The opulent cocktail is then topped with a pineapple flower and a Bond Street jewellers Beards diamond for the final garnish. As a norm for one-of-a-kind things, the world’s most expensive margarita comes with two security guards on hand who will protect your drink…and the diamond floating in it! Dean Ginsberg, of Cantina Laredo, said “A lot of thought has gone into the balance of flavours. 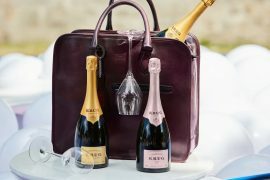 And with the diamond, it would certainly be an interesting way to propose!” – keep that in mind when you plan the special moment as the drink has to be ordered well in advance for its extravagant entry. The world’s most expensive margarita can be pre-ordered only at Cantina Laredo in Covent Garden, London starting on February 22nd which is the perfect launch because it happens to be World Margarita Day! Our advice – don’t spill your drink and make sure you have an extra special straw to compliment it! And don’t forget to tell us how diamonds taste!